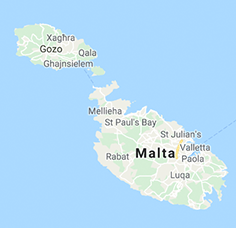 Finestral Malta has been successfully operating for 15 years, of which the last 10 years the company specialised in the manufacturing of PVC apertures. Finestral Malta was the first and only company who ventured into such a manufacturing business. Finestral Malta enjoys a manufacturing and installation license from Deceuninck Group which is a Belgian company considered to be the number one producer of PVC profiles worldwide. Throughout this time, we have worked hard to develop streamlined procedures to help us offer the highest standards of advice, sales, installation, support and after-care, whilst striving to keep our prices as low as possible without compromising on quality. We have installed thousands of windows locally and all have stood the test of time through the harsh summer and mild winter we have in Malta. So Finestral is proud to say that the warranty we provide is sealed with years of experience in the local manufacturing. Deceuninck are leaders in energy efficient PVC apertures offering superior thermal and sound insulation. Other positive benefits include high security, no maintenance or corrosion, maximum water tightness and wind resistance. A variety of designs, colours and systems are available, carrying a seven-year warranty. Adore more offers several opening systems and are available thanks to our supplier’s flexibility. We offer Tilt & Turn windows that open both inwards and outwards. Large openings can come in either heavy duty sliding systems, tilt and slide or accordion door systems. The profile used for the construction of our UPVC apertures is German brand Koemmerling, whereas for Thermal Break Aluminium profiles we offer Schuco. Complementing the quality of Koemmerling/Schuco profiles, we work with GU for all the hardware needed in any type of construction. Our UPVC /Aluminium apertures come ready-made complete according to size, and include any glass panels needed. On UPVC /aluminium we offer our standard double glazing (5mm outer glass – 15mm space – 4mm inside glass) with solar more film, however we can offer any other type of glass that our clients request, from argon filled spacing to high security glass, designed glass to bullet proof. Our products come with all certifications needed and we can offer the below guarantees for the Libyan market. Koemmerling UPVC 1. Our product can only be installed in coastal areas of Libya 2. We can offer a white UPVC profile that comes with a 10-year guarantee. 3. We can offer a 10-year guarantee on all Hardware. 4. We can offer a 10-year guarantee on the glass insulation. SCHUCO Thermal Break Aluminum: 1. Our product can be installed in any Area of Libya 2. We can offer a 10-year guarantee on all hardware. 3. We can offer a 10-year guarantee on the glass insulation. Adore more give you the option to either buy UPVC windows and doors without installation, in which case the installation will be done by the buyer, or else we can give a full service including installation and finishing. In the case of our buyer choosing to install the apertures themselves, we can provide training. Styles Apertures Ltd began as a manufacturer of aluminium apertures available to the residential market. Quality products always bring good results to a business, and this led to the growth of Styles Apertures, which resulted in its expansion to garage doors and UPVC apertures. The company offers a wide selection of UPVC apertures, including windows and doors of all sizes, shapes and locations. These can be customized to be sliding, hinged, parallel, centrally pivoted, folding, louvers, fixed and more. No aperture is too challenging – Styles Apertures aims to please each and every client. Contact them today with inquiries. Brand Aluminium – Aluminium and PVC – doors, windows, staircases, balconies, shops, insect screens, automatic sliding doors, etc.Teckentrup Genuine German Garage Doors – and also Internal Doors. PVC Apertures Why ordering normal aluminium Apertures when you can pay nearly the same price and get PVC Apertures? Get a quote now and get unbelievable prices for high quality PVC durable, non-flammable, robust, impermeable apertures. All with sealed joints and extremely sound proof. Safe and secure for your home!